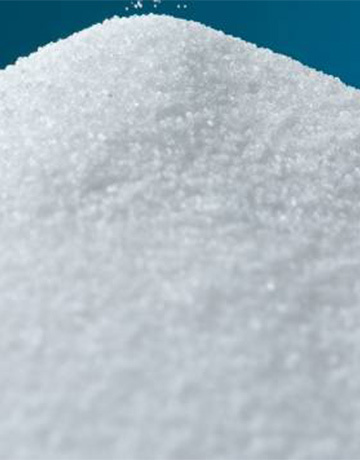 Washing units use a less saturated salt brine to remove impurities and excess sulphate and magnesia from the raw salt. The abundance of the wash water as well as the path taken by the raw salt are the key factors to quality treatment. 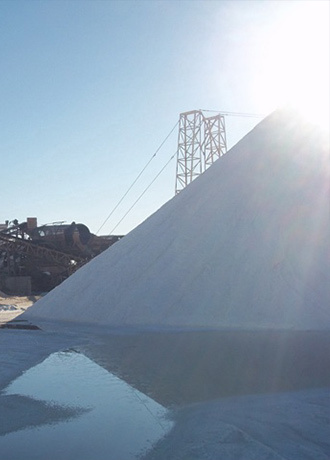 The salt is thus conveyed by various mechanisms including mechanical moving parts and separating baffles while being continuously immersed in the wash brine. At the end of this washing process, the salt is sprayed with fresh water for a final clearing before spinning. 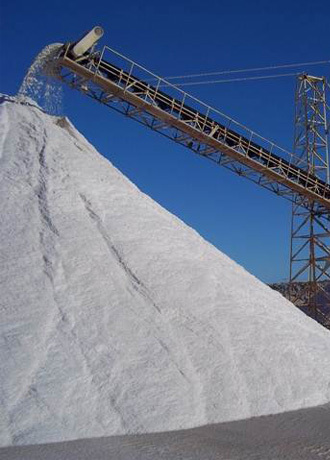 The content of Sodium Chloride (NaCl) is best achieved through the washing process and gives the salt the required purity and quality. 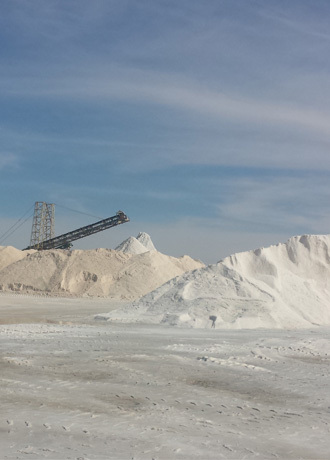 The washed salt can be distinguished by its bright white colour. 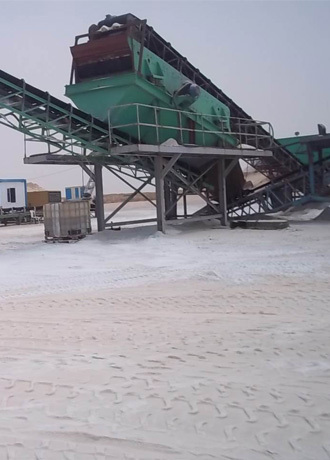 The raw or washed salt requires generally a crushing operation which homogenizes the grain size and prepares it for the following screening operation. Crushing is carried out by impact crushers with adjustable openings to bring up the grains to the desired sizes. The crushing operation requires monitoring and continuous adjustments to avoid too much crushing of the salt grains that translates into undesired fines particles. The screening operation yields a uniform grain size and a salt that meets the particle specifications required by the customer. The grain size is categorized not only by an upper limit of the grain size, but also by a spectrum of intermediate grain sizes. The combination of a suitable crushing and screening allows the achievement of the exact desired grain size distribution. 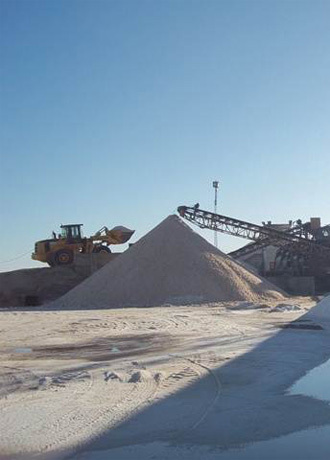 Just like washing and crushing, the screening operation requires perfect control of the behaviour of the vibrating grains of salt during the screening according to the grids and screening frequencies used.